Partially located downtown, the West Eugene neighborhood includes historic residential and commercial districts. Recent restoration has turned some of the beautiful older homes into businesses. This neighborhood is also home to the Lane Events Center, the Hult Center for the Performing Arts, the Saturday Market and Eugene’s Farmer’s Market. Here you will also find an abundance of downtown dining and shopping. 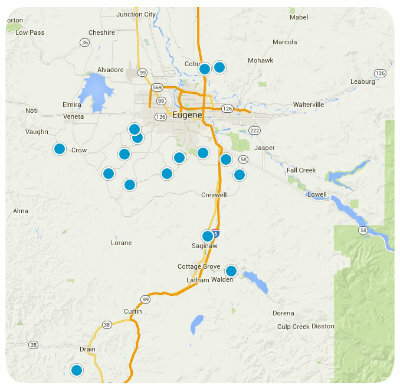 If you find a home for sale in West Eugene you would like more information about just give us a call!